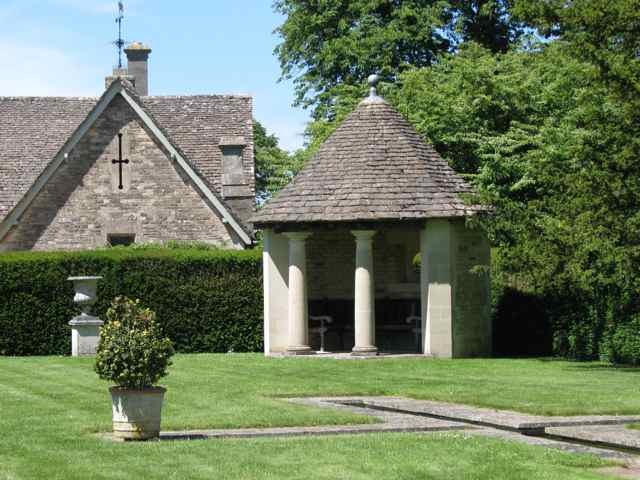 If you're going to appreciate the glorious gardens in the Cotswolds, you need several days to see them all - there are many to see; they're not close together; and whether by accident or intent, they rarely open to complement each other, so you need to plan your trip, arm yourself with a decent road map and pray for good weather! And then, there's the question of "single track roads"! This is a strange English phenomenon where the roads are only wide enough for one car, so when you meet someone coming the opposite way you need to back to a passing place! 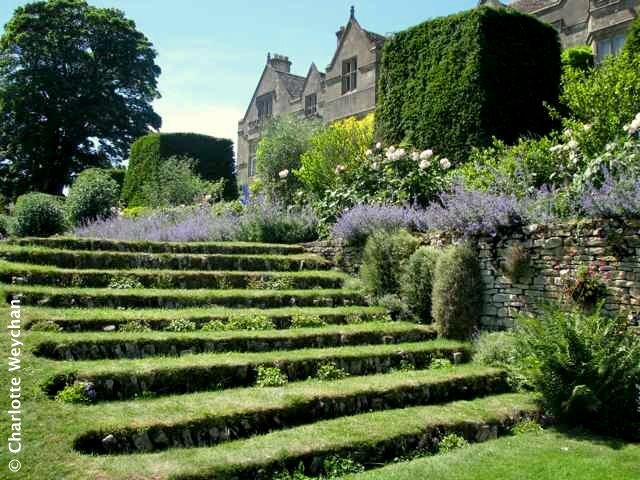 Misarden Park, which is located between Cirencester and Cheltenham is a beautiful formal garden that makes you realise what life must be like when you don't have to do all the work in the garden for yourself - immaculately clipped hedges and glorious borders (above) that make gardening look easy! 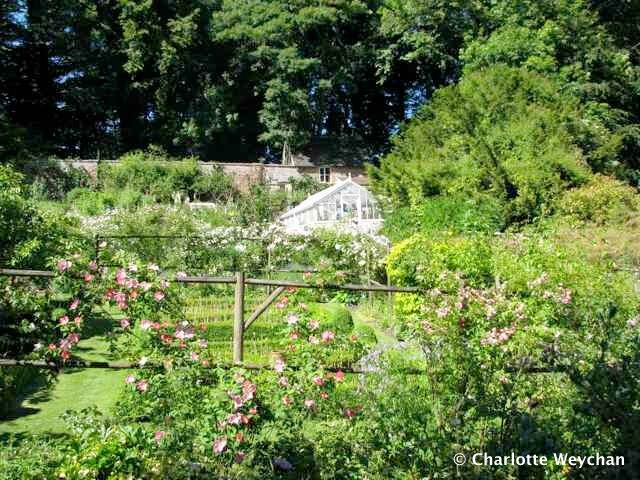 You enter the property through the walled garden which has double-mixed borders containing roses, shrubs, climbers and perennials - it's a glorious sight and you'll definitely want to linger here! This garden is completely timeless, with its wonderful views out over the Golden Valley. There are many fine specimen trees and glorious views through pergolas and gates, that beckon you on through this floral feast. At the turn of the century a new rill with fountain and summerhouse (below) were added to mark the new millennium and there is further work afield here with new raised beds in progress, so this promises to be a garden that keeps up with the times in gardening interest, despite its long history. 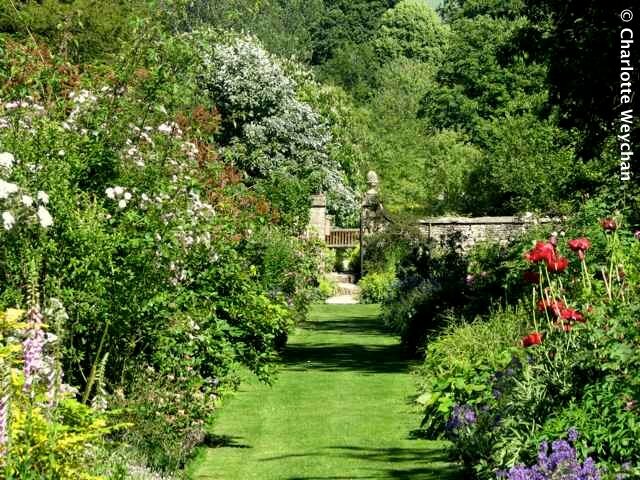 Combine this with Cerney House, just a few miles away as the crow flies, and you'll see a very different style of planting in the marvellous garden there. But if you're planning to visit on the same day (and I suggest you do, if it's a Tuesday or Wednesday because both are open), don't attempt to make the journey cross country as I did, but use the main road. What looks like a short distance on the map is actually a startling drive down "single track roads" that leave little room for manoevre when you meet a car coming the other way, and you could spend more time reversing into passing places than progressing forwards to your intended destination! 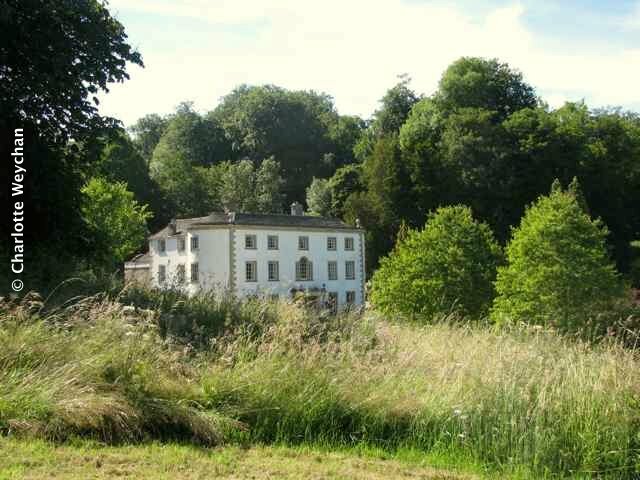 This is a 10-acre garden laid out in a sheltered Cotswold valley and surrounded by woodland. 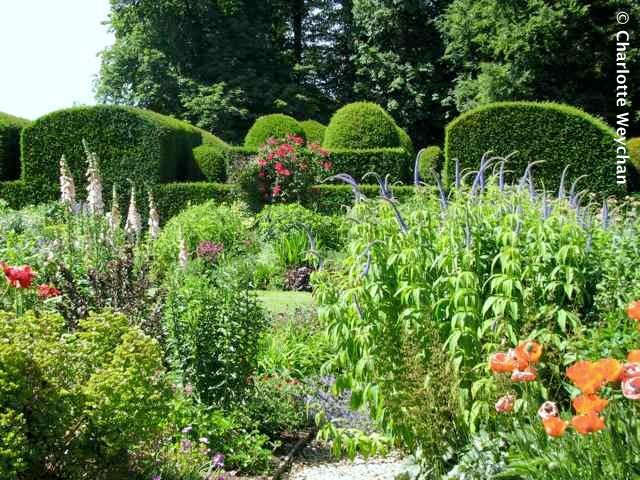 The walled garden here is quite magnificent - a 3.5 acre plantsman's paradise nestling behind the house and filled to bursting with ebullient borders, old-fashioned roses and many different clematis. The scents are glorious, the atmosphere peaceful, the surroundings charming, and best of all for garden amateurs like me - the labelling on the plants is really helpful and I left this garden with many new ideas for cottage-style planting at home. Once you arrive at these gardens, you'll never want to leave. 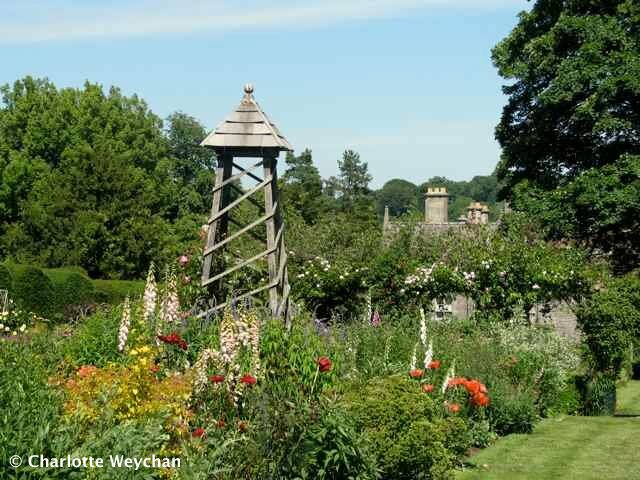 It's not hard to think that you've found a little piece of heaven as you meander through the sumptuous flower displays, breathing in the scent of roses on a glorious summer's day. Cerney House hosts an annual tulip festival in May and is also another well-known snowdrop venue, so you can combine this with Colesbourne Park when the little white soldiers march out on parade in winter. I'll certainly go back next year. I'll be doing a full round-up of all the wonderful Cotswolds gardens I visited in June when I've written about all those I was lucky enough to see on my recent trip, with suggestions on which to combine in a day and where to eat and stay on the way. What glorious gardens! The stairs in the first are amazing. I have heard of the single track roads, they sound interesting and are probably beautiful to drive on (although perhaps a little inconvenient). Wonderful gardens! Those single track roads are even more fun when you get stuck behind a herd of sheep going along the road with their shepherd!